Your Optometrists in Tulsa, OK. Call us at 918-935-3500 today. 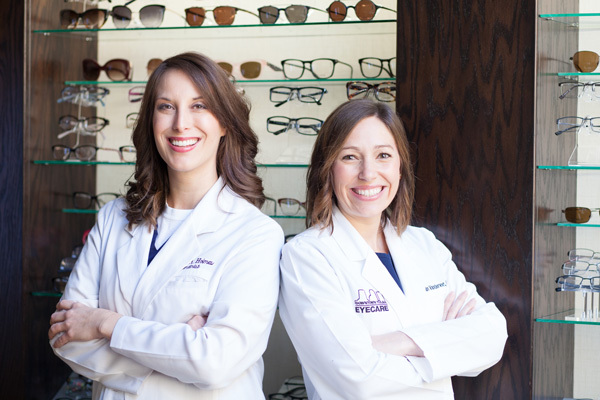 Our one-on-one approach to optometry makes our doctors and staff at Downtown Tulsa Eyecare the vision care providers of choice in the Tulsa area. Our optometrists offer the following services: complete eye exams, contact lenses, glasses, glaucoma testing, pre- and post-operative care, eye infections and eye emergencies. For a complete list of services, visit our services page or call our office at 918-935-3500. At Downtown Tulsa Eyecare, we are dedicated to providing high-quality optometry services in a comfortable environment. Call us at 918-935-3500 or schedule an appointment today online. THREE YEARS IN A ROW. "I couldn't be happier to be a patient at Downtown Tulsa Eyecare. Dr. Holmes always goes above and beyond and the staff is always amazing. I met the new Dr. Vandervoort and she is a great addition."